My high school graduating class is celebrating its 25th anniversary this weekend (Holla! Here’s a toast from the West Coast to the ol’ – but not old – Lawrence Chesty Lions!) 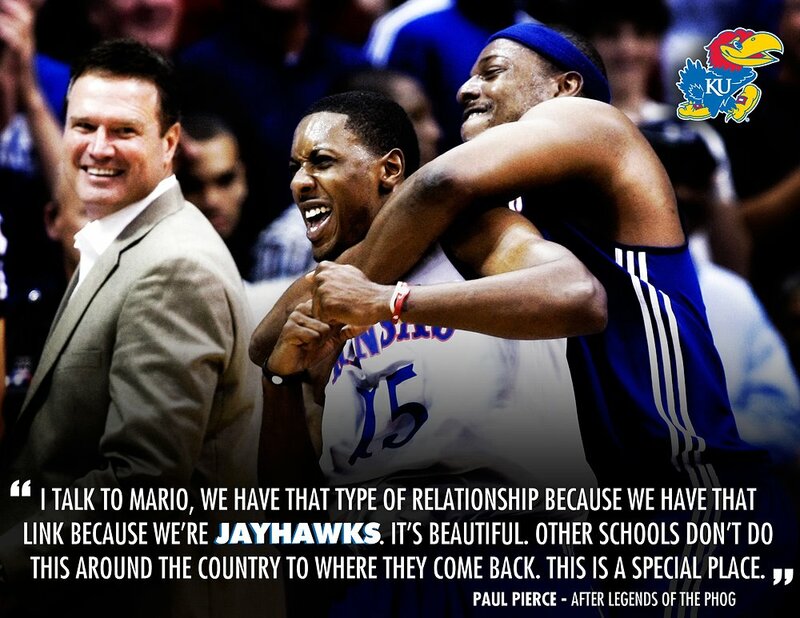 and this prompted & gave me an excuse to post one of my favorite Jayhawk reunion photos from the Legends of the Phog game a couple of years ago.